You want to build your list FAST right? What if your list building went viral? Imagine thousands of new signups in days or weeks, instead of it taking years. If that doesn’t raise your pulse a few beats, then I don’t know what will. We partnered up with one of the best quiz maker companies in the world to bring you this ultimate guide to building your list with quizzes. It was written by JP Misenas and you can find out more info from them at the end of this article. There is no financial relationship between us, just a partnership to deliver dope content. The state of content marketing is constantly changing, so marketers have to keep up with the pressure of adapting when necessary. Not every brand has a concrete marketing strategy to grow their email list, and most marketers spend months on end along with a percentage of their revenue testing various forms of content to see which would benefit their brand in the long run. So the question you should be asking yourself is: what type of content can you implement into your marketing that will allow you to generate the leads that you’re looking for? It isn’t the easiest question to answer, but if you know where to look, the solution might’ve flown right under your radar. You’re looking for content that can attract an audience, engage them, and provide some level of value along with raising brand awareness. You’re also looking for something that not only helps you grow your list, but improves the overall quality of your leads as well. If you take a look at social media, you may have already come across the answer you’re looking for; you just might never have considered using it in your marketing strategy until now. Quizzes are one of the most underrated types of content that marketers should try, and today, we’re going to show you how to make your own. Quizzes are one of the most underrated types of content that marketers should try. Here at Interact, we’ve helped over 10,000 brands create over 25,000 quizzes, so we’ve created the ultimate step-by-step guide that includes the best practices when creating an effective quiz to grow your list. We’ll show you how to create your own quiz, how to promote it on social media, and then how to follow up on your leads with marketing automation. Now that that’s settled, let’s get started, shall we? Quizzes aren’t just pieces of content that consist of a set of questions followed by a result. They’re comprised of several different segments, and it all starts with the title. When 80% of readers can use a title to determine if something is worth reading, you’re going to want to make sure you come up with a good one. Here are some title templates that have performed consistently well with various audiences. Go through each of them carefully, and figure out which template will work best for the kind of quiz that you have in mind. The “Actually” Title — If there was a route that allowed you to change a boring question into a more interesting one, would you take it? Including the word “actually” in your title does just that. The difference between “How much do you know about quizzes?” and “How much do you actually know about quizzes? is that the inclusion of the word “actually” transformed an everyday kind of question into something more along the lines of a challenge, and no one wants to back down from a challenge. “The Which (Blank) Are You?” Title — Have you ever wondered which Marvel superhero you were? This title is the one you’ll come across the most on social media. Fill in the (Blank) with whatever your heart desires and people will flock to your quiz trying to figure out what they are. It’s good, clean fun, and it often encourages retakes and social shares. The “Celebrity Personality” Title — Take the previous template and put a spin on it by replacing the (Blank) with a celebrity or celebrities of your choice. Because the names of celebrities carry more weight, you’re more likely to draw in a larger crowd. Consider using this title if you want to make a play off of the more popular celebrities of today. The Personality Quiz — The “self-serving bias” makes it so that people in general like hearing good things about themselves. This is where the personality quiz shines. This quiz type categorizes people into personality types based off of their answers. The results compliment each individual which encourages social sharing. Here’s an example of how a marketer could implement this type of quiz in their strategy: let’s say your brand focuses on beauty products. 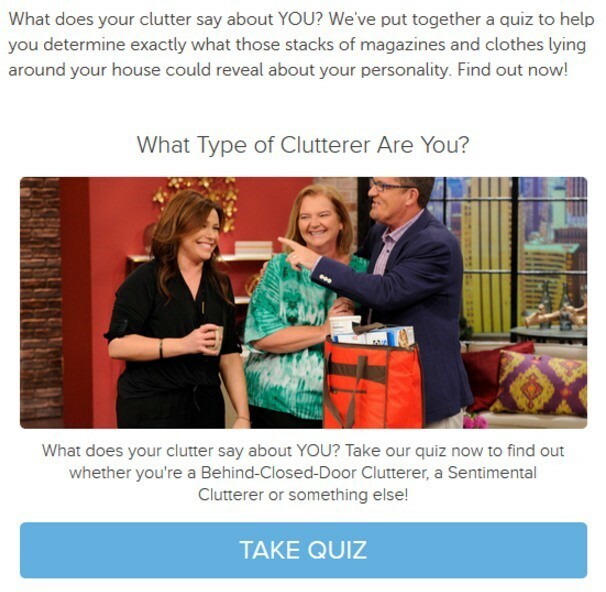 You could create a quiz that places people into personality types with personalized product recommendations tailored specifically to their style based off the answers they gave during the quiz. That’s a great way to personalize the shopping experience. The Knowledge Test — If you’ve ever wanted to test how much someone knows about a given subject, that’s where this type of quiz comes in. The knowledge test will assess how much someone knows about something and then delivers results based on accuracy. The quiz itself can tell you whether or not you got an answer right or wrong, and can essentially be used to qualify leads. From a marketing perspective, you could use a knowledge test to gauge where your employees stand in terms of product knowledge or brand awareness. You could even ask your customer base how much they know about your brand and its products. It’s entirely up to you. Be Personal Towards Your Audience — It’s all right to take a more personal approach. Talk to your audience as if you were talking to them in person. This establishes a more relaxed tone and allows your audience to get comfortable with your brand. Feel free to inject your personality in the questions. Literally become a part of your quiz. 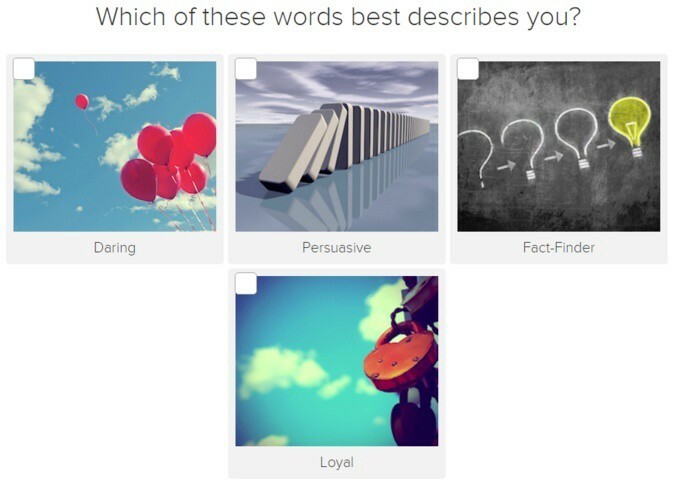 Add Entertainment Value With Images — These quizzes are meant to be fun. There’s nothing wrong with having questions that consist mainly of text, but try to add some variety to your quiz by including images. Images keeps things fun and relevant, and they can instantly transform a boring old quiz into a trivia game. Keep Track Of Time And Question Count — People nowadays don’t have as much time on their hands. Keep in mind that you’ll have at least 5 minutes at most with your audience. Try to aim between having 6 to 8 questions in your quiz. This usually takes 2–3 minutes tops for someone to finish, which is just the right amount of time that we’ll be needing. After you’ve filled up your quiz with some questions, it’s time to move right along. As marketers, we use quizzes to not only drive audience engagement, but to generate leads, so what better way to do that than by implementing a lead capture. Optimize Opt-In Rates With Incentives — Now it might be all fine and dandy with your audience when it comes to exchanging their contact information for their quiz results, but give them more of a reason to do so. If you want to increase the chances of your audience walking away happy, include incentives like a free ebook or an entry into a free giveaway. This may just increase the chances of your audience sharing your quiz as well. Don’t Request Information You Won’t Use — This one’s rather self-explanatory. At the bare minimum, most brands will just require an email address. Others might ask for a first and last name to personalize the marketing automation emails that are to follow. It’s a good idea to just request information that your brand will use. There’s no point in asking for other things like projected company revenue or a phone number unless you’ll be using that information yourself. Be Uplifting With Your Audience — By being incredibly encouraging and complimenting your audience, you increase the chances of having their results getting shared. How? Positive emotions drive sharing. Going back to the idea of the self-serving bias, people really like to hear good things about themselves; that goes double when it comes to sharing good things about themselves on social media. Who wouldn’t like to look good in front of their friends and family? Use Images That Are Likely To Be Shared — While we did put a slight emphasis on the use of images in your questions, you’re definitely going to want to make sure you use images in your results. The imager in your results are usually what shows up first when others share them on social media. If you happen to use an attractive image, others will be drawn to your quiz. Be sure to use a captivating image in your results. Include A Call-To-Action At The Results — Although you won’t hear back from your audience until the final phases of your marketing automation, don’t let your personal interaction with your audience end at the results. Include a call-to-action, like a link to your website or several links to your other products. 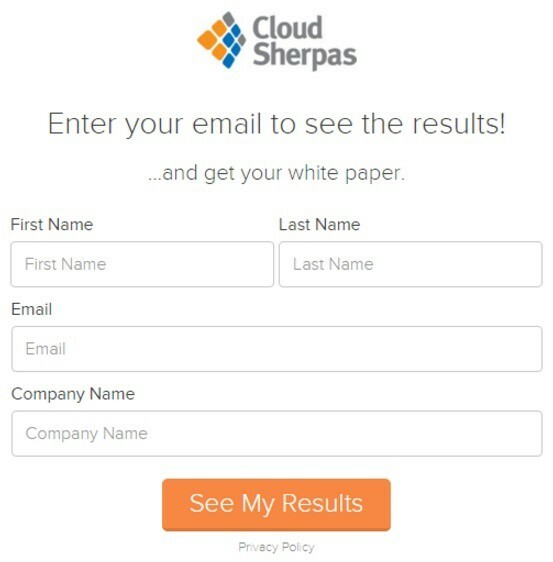 You can even include an interactive whitepaper for your audience. Just make sure you maintain audience engagement up until the very end. As we transition from creating results that people want to share, it’s time that you got around to sharing the quiz yourself. Social media is the perfect platform to promote your quiz. Because quizzes themselves are commonly found on social media, yours will fit right in. There are several ways to get the most out of distributing your quiz on social media, so let’s take a look at some of them now. Be sure to use an attractive image to represent your quiz, like the title page. Make sure you have a catchy headline that also represents your quiz entertainingly. Target Audience — While you may not have much control over your current audience on Facebook, paid advertising grants you access to that. You can choose an audience based on location, demographics, behaviors and connections. You can even take these categories and narrow them down even further. For instance, location can be broken down to country, state/province, city and zip code. Why? 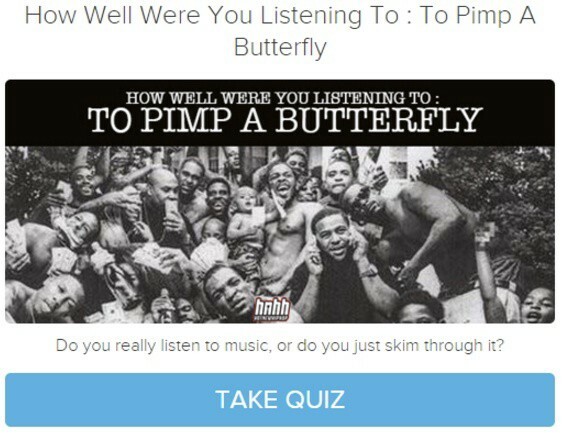 Maybe your brand wants to find out where people are taking your quiz from. Custom Audience — This might sound complicated, but it really isn’t. It’s actually fairly simple. A custom audience will consist of a list that you’ve previously uploaded onto Facebook. Facebook then generates a custom audience based off of that list so that the advertisements target them specifically. Thank Your Audience for Taking Your Quiz — As soon as someone opts-in at your lead capture, send the following email within five minutes thanking them for taking your quiz. This not only reminds your audience that you’ll be getting in touch with them soon, but it also asserts your brand. Introduce Other Results To Your Audience — After several days, the next email you send out should introduce the other results your audience could have gotten. This will prompt them to retake your quiz, and possibly even to reshare their new results. This is the perfect transition from your “thank you” email to other content. This email is still relevant, but it begins to segway into other things. Fortify Trust With Case Studies or Testimonials — After about a week, it’s time to send out the next email in the series. After having taken your quiz, your audience has developed some level of trust with your brand. Now, it’s time to strengthen that trust by highlighting customer case studies or testimonials. This will allow your audience to get a feel for your brand from the experiences of others. Convert Your Leads Into Paying Customers — Once two weeks have elapsed, it’s time to close on your prospective customers. Consider using incentives to help sweeten the deal. You could include things like a free webinar signup or even coupons and discounts. It’s entirely up to you. Use what you have to in order to convert your leads into paying customers. Marketers are always looking for new ways to grow their lists. Using social media quizzes as a part of your marketing strategy is one of the more effective ways to generate leads. At the start of this article, you learned what quizzes were capable of. We then covered several title templates for you to work with, along with the types of quizzes you can create. We also went over several of the best practices when crafting your questions, along with some helpful tips on how to create an effective lead capture. As we finished the quiz creation process, we highlighted several hints on how to get the most out of your results.